RANCH WITH LOADS OF CHARACTER!! IT DOESN'T GET MUCH BETTER THAN THIS. THIS HOME FEATURES UPDATES GALORE. 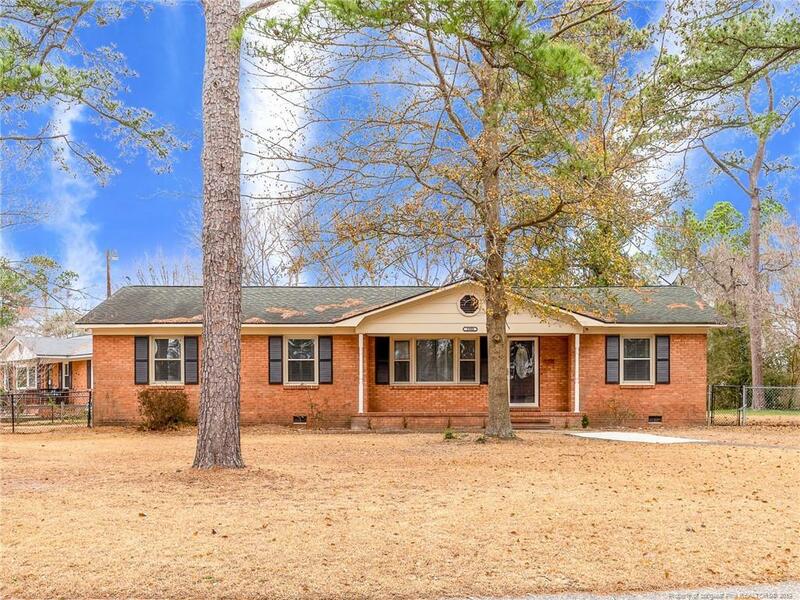 WELCOME HOME TO THE INVITING FRONT PORCH; KITCHEN AND BATH HAVE GRANITE COUNTERTOPS, SOFT CLOSE DRAWERS, HARDWOOD FLOORS, STONE FIREPLACE, AND BEAUTIFUL NEW OVERSIZED DECK OVERLOOKING THE LARGE FULLY FENCED YARD. HUGE SHED FOR PLENTY OF STORAGE. HOME IS CONVENIENTLY LOCATED TO FORT BRAGG, SHOPPING, DINING, AND MUCH MORE! Directions: Raeford Road To Left On Bingham, Right Onto Kincross Ave., Turn Left Onto Berridale Dr., House Is On The Right.